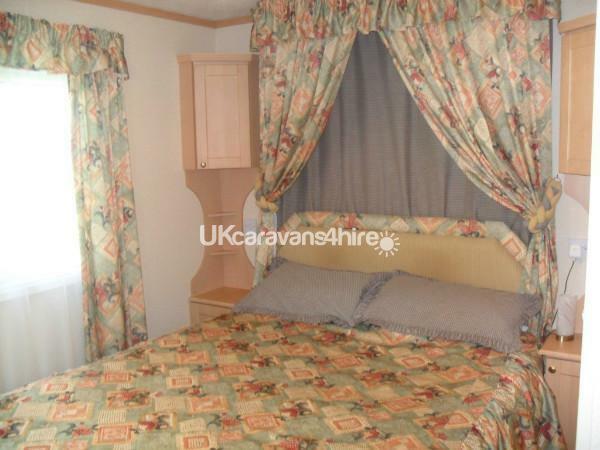 Our BK Senator caravan is very spacious at 39' long and 12' wide. 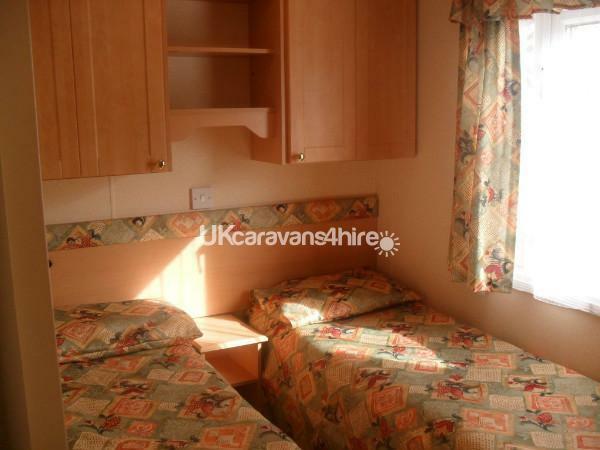 There is plenty of room to comfortably sleep 6 people with one double bedroom, one twin bedroom and a pull out double bed in the lounge. 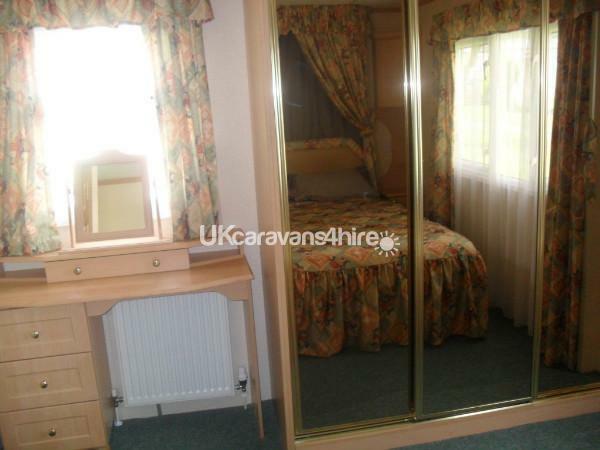 The double bedroom has a large mirrored wardrobe, dressing table and a door leading to the bathroom. 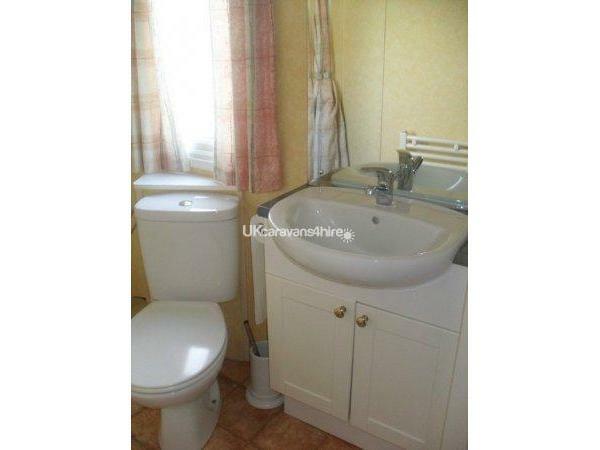 The twin bedroom has a dressing table and twin beds. Duvets and pillows are supplied but you will need to bring your own sheets, duvet covers, pillow cases and towels. Travel cot available on request. 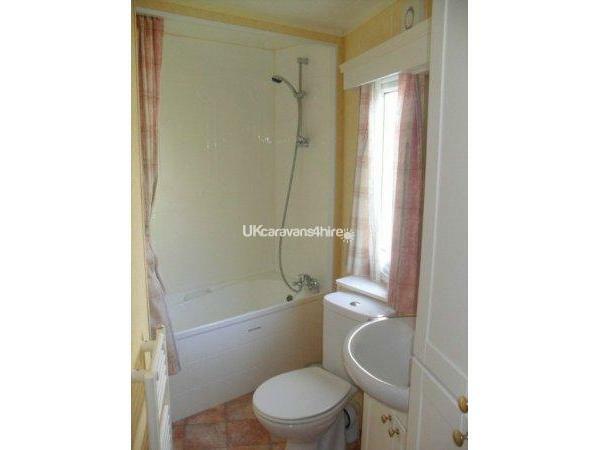 The bathroom has a bath with a shower over it, a toilet and wash hand basin. 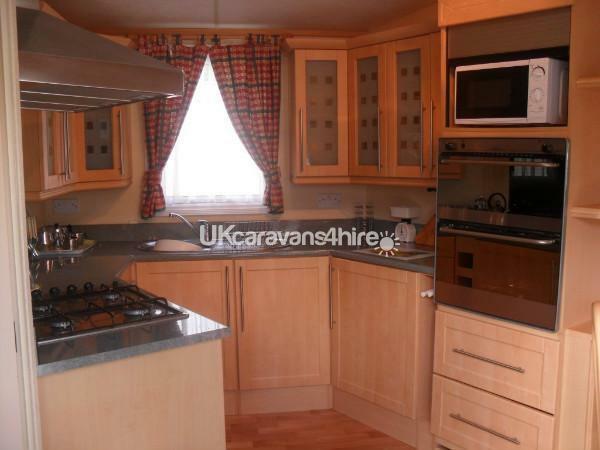 The kitchen/dining room is well appointed with a gas hob, oven, fridge, freezer, microwave and toaster. There is also patio doors leading from the dining room onto a decked area perfect for Alfresco eating. From the kitchen diner a door leads into a separate lounge. 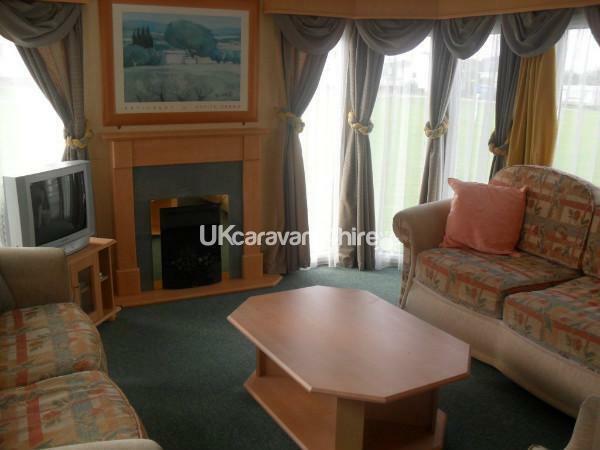 There are two sofas and a free standing chair, electric fire, TV, DVD player, Free View box and board games in the lounge units. 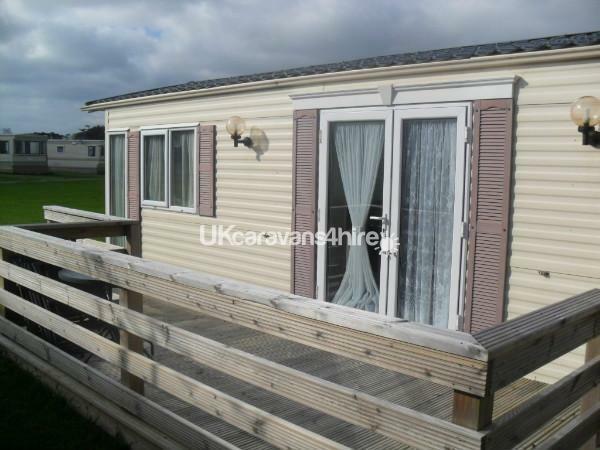 Our caravan is situated on Seven Bays Park, in the beautiful County of Cornwall. 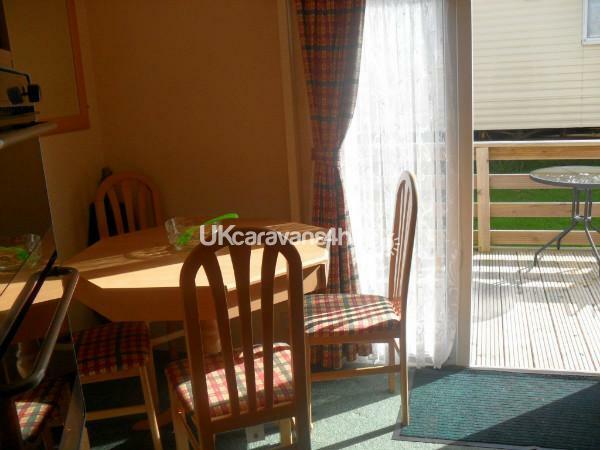 It is a quiet family run site with plenty of grassy areas and a child play area. The site also has a cafe/takeaway and laundrette. Just a 2 minute walk there is a convenience store and a sports bar which serves food and is open to all. There are also tennis courts that are available and are free to use. Seven Bays (Maribou) is an ideal location for all out door activities including walking, surfing and exploring all the delights that Cornwall has to offer. Crealy Adventure Park is close by and also seven glorious beaches within a 5 mile radius,so there is something for everyone. Padstow is a famous quaint fishing village only 3 miles away made famous by TV chef Rick Stein and is well worth a visit. St Merryn is only 5 mins drive away and has pubs serving good food, fish and chip shop, bakery, convenience store, petrol station and gift shops. There is a bus stop outside the caravan park if you want to leave the car behind. The world renowned Eden Project is only 30 miles away. Seven Bays (Maribou) is in a great position to visit all of Cornwall including Lands End and Dartmoor in South Devon is only just over an hour away. Cornwall welcomes everyone, so for a wonderful holiday experience come and try it, we are sure you will love it. We will need a £50.00 deposit except for August bookings where there will be a higher charge of £100 non returnable deposit and the balance paid 6 weeks before arrival date, by cheque or bank transfer. 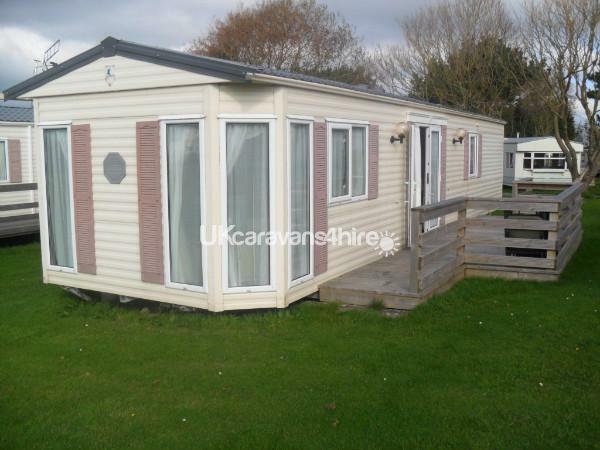 Any damage to the caravan are the renters responsibility. 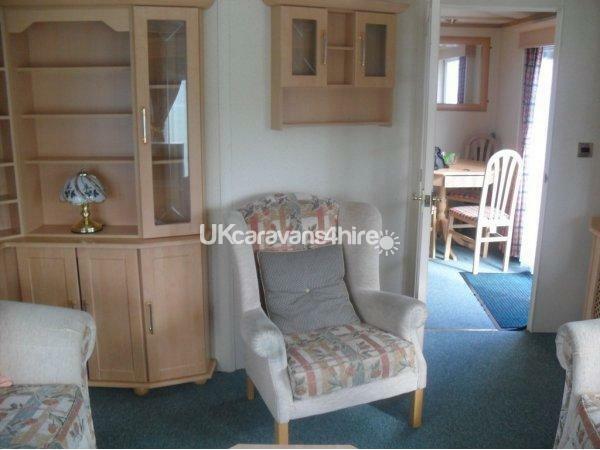 We keep an up to date availability calender so you can easily check dates and prices of our caravan hire. 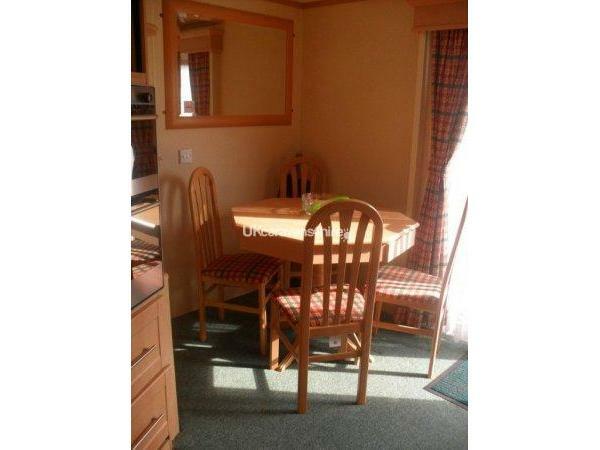 If you need a quick break and the caravan is available, give us a ring and we will try and accommodate your requirements.